If you have an anxious or special needs child who requires sedation dentistry to help calm his or her nerves during their treatment, Park Smiles NYC Pediatrics is pleased to offer the services of Dr. Roy Berenholtz. One of New York City’s leading pediatric anesthesiologists, Dr. Berenholtz leads the Pediatric Anesthesia Department of Sedation Specialists of New York. 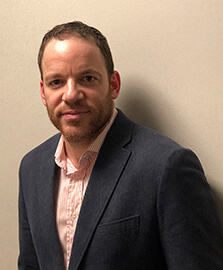 Following service in the Israeli Defense Forces, Dr. Berenholtz earned his medical degree and then completed his residency in Anesthesiology at the Albert Einstein College of Medicine. Dr. Berenholtz subsequently completed a fellowship in Pediatric Anesthesiology at the UPMC Children’s Hospital of Pittsburgh, one of our nation’s leading Pediatric Anesthesiology Fellowship programs. Dr. Berenholtz is certified by the American Board of Anesthesiology, is a member of the American Society of Anesthesiologists, the New York State Society of Anesthesiologists, as well as the Moreano International Medical Missions. Passionate about delivering the best possible medical service to his patients, Dr. Berenholtz has spent many years providing safe and caring anesthesia services to pediatric dentistry patients. Alongside his clinical expertise in Pediatric Anesthesia, Dr. Berenholtz finds great fulfillment in helping patients and families through a stress-free dental experience in our office. Dr. Berenholtz also takes special pride in participating in humanitarian projects across the globe. He was a volunteer for Operation Hope for Haiti, where he cared for earthquake victims and recently just finished a mission in Ecuador.